There are 16 more days until Walk With Me! There is still time to register to be sure you can meet all of our amazing Honorary Ambassadors, including Nikhil. Nikhil is a very affectionate 6-year-old, who happens to have a very rare genetic syndrome and autism. 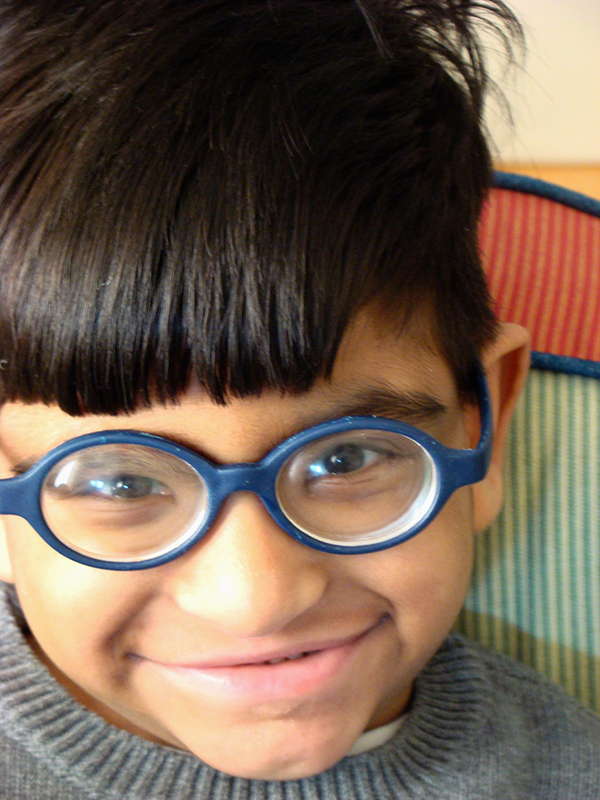 Nikhil initially began receiving home-based services through Easter Seals. When the traditional transition to center-based services when he was 3 didn’t work, Easter Seals collaborated with his family to ensure he was receiving the services he needed. As a result, when he was ready for center-based services, Nikhil transitioned easily into his class and is doing things like, using a walker and communicating through pictures. He loves music and swinging, he even has a swing in his room. Nikhil loves riding the bus so much, that if he were in charge, school would be held on the bus! But if you want to know the true way to his heart, it is that iconic purple dinosaur, Barney. If you can tear him away from Barney, he is quite happy giving hugs and kisses, which is just one of the many ways he can make people smile! This entry was posted in child stories, General info and tagged Approved Private School, Early Intervention, Easter Seals, Easter Seals Bucks Division, Easter Seals of SEPA, Easter Seals of Southeastern Pennsylvania, Walk With Me on May 21, 2015 by Easterseals.